Meet Sondra Rankin, an angler, a hunter, a country singer, a goodwill ambassador, a role model citizen, a mentor, an outdoors woman, a Kentucky real estate sales agent, and on top of all that a single mom. Sondra is a bass tournament angler who has competed on the FLW tour, the most prestigious bass circuit in America today. Aside from her hectic schedule, Sondra is proud to be the Western Kentucky Youth Director for the Fishing For Kids Foundation. She is also the host of the hit new ProPatterns.com series, "Exposed, Pros on Tour." Sondra has collaborated with Nashville Recording Label, OUTDOOR Music Group, and is currently working on new material to be released in the near future! 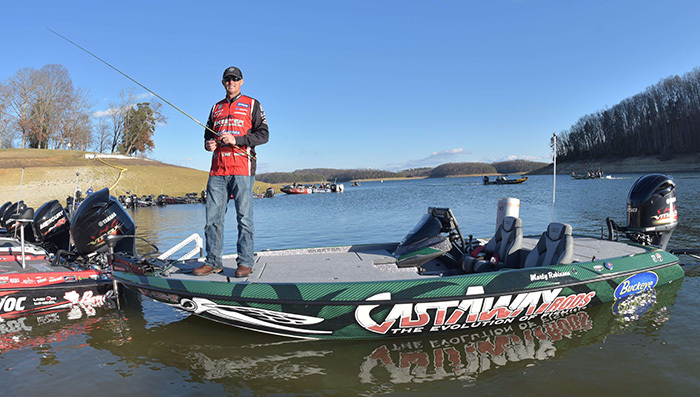 Marty has been fishing profesionally since 2007, has 22 top 10 finishes and has fished the Bassnaster Classic 3 times. When he's not fishing you can often find Marty on the softball field or strumming on his guitar. His favorite fishing technique is jigging and his go to rod for that is the 7' Invicta II Mag Medium Heavy Rod, model # INV2-7MH. In 2018 Marty announced he was committing to the MLF Bass Pro tour.